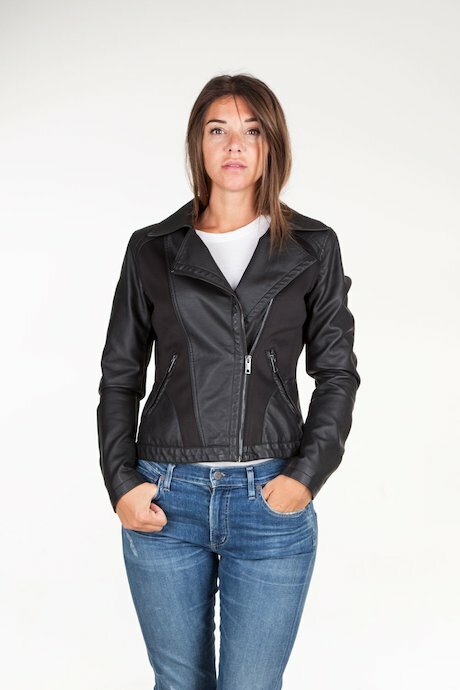 Woman's bi-material jacket, neoprene and faux leather inserts. 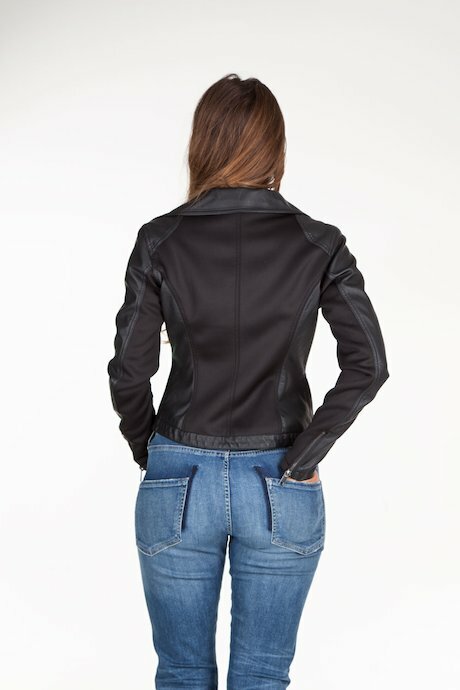 Asymmetrical fastening, zipped cuffs and frontal pockets. This is the right garment if you aim at a feminine and fierce look. Versatile and ideal for the new season. Check Product Details for more technical information.